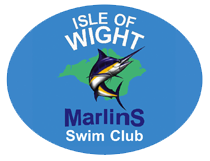 I am pleased to announce that the swim this year will be held on Saturday August 3rd. The swim will start at midday from the beach alongside Sandown Pier as this fits in with the tides on the day. It has always been that this is a costumes only event, but we have decided that we should now allow a wet suit option in order attract greater numbers and also encourage ‘new’ swimmers to open water swimming. A separate competition within the body of the main swim will take place. There will only be two awards: Fastest Male wet suit/Fastest Female wet suit swimmers. Swim suit swimmers will have a much greater range of awards (as traditionally awarded in this swim). The Pier to Pier swim follows a long tradition here on the IOW. When it first started 67 years ago the Deep Sea Fishermen and other locals threw down the gauntlet during Shanklin Regatta week and challenged each other to a race in the sea from one end of the bay to the other, notably from Sandown Pier to Shanklin Pier. They swam in the traditional swim costumes of the day in the open sea whatever the conditions! No risk assessment, no safety cover probably, few officials, no numbered hats etc. We now run into the sea rather than jump off the pier, we are accompanied (for safety reasons) by many kayakers, fishermen, Sandown Lifeboat and Ryde Inshore Rescue! Due to the absence of Shanklin Pier in the storms of 1987 we now finish the race on the beach by Shanklin and Sandown Rowing Club.